If there is not eyelashes inside the box display, I do not think this is a White eyelashs packaging tube boxes, more is think this is a cute smart watch packaging. This eyelash cosmetic tube packaging has two characteristics: 1 is the use of white leather as the outer sticky paper, creating the illusion that this is a high-grade leather packaging, Thus enhancing the added value of eyelash products. 2 is a printed PVC window, consumers can see through the transparent window This is a fine eyelashes, closer to the distance between the product and the consumer, to better carry out interactive marketing. The logo printed on PVC film throung the ink, consumers want to understand the characteristics of eyelashes products, we will certainly understand the brand, brand building played a good publicity. Although this White eyelashs packaging tube boxes styles and effects are good, but the custom cost is not high. Due to its main material is 300g cardboard, 0.2mm white plastic and transparent pvc, and imitation leather paper, so the custom packaging cost is only about 20% more than normal. 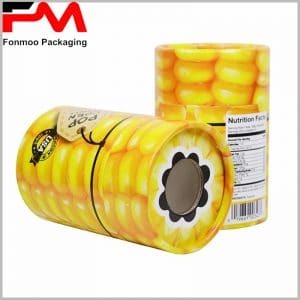 As a professional tube packaging manufacturer, we can not only provide you with different styles of eyelashs packaging tube boxes, but also provide you with free package design improvement services to promote your product sales.